EDINBURG — The University of Louisiana women’s basketball team seemed like it couldn’t miss in the early going Saturday night against UTRGV at the Fieldhouse. Once they cooled off, it was the Vaqueros who took over and took off for a 75-60 victory, their third in a row. UTRGV ended the night shooting 45.2 percent from the field to bury the Ragin’ Cajuns. Point-guard play was key and Amarah Graham was the locksmith. The redshirt sophomore had seven assists for a third straight game. On Saturday, she only had one turnover, a big improvement over the six giveaways she had Friday in a close victory over Prairie View A&M. She also had 13 points. At halftime, UTRGV held a 36-33 lead, but Louisiana had made 14 field goals to RGV’s 12. The Ragin’ Cajuns first quarter was clinical. They made their first seven shots and first two free throws before finishing the quarter 9 for 14. The Vaqueros had two steals and three blocks. Their big advantage again came on the glass; they grabbed 49 total boards (34 defensive, 15 offensive) compared to UL’s 27. Madison Northcutt had 13 alone. Eventually, UTRGV found their stroke from the field. For a second straight game, Idil Turk had a 13-point performance. Her coach admired her ability to drive to the hole when defenses try to limit her patented deep shot. Five different shooters made a three-point field goal Saturday. The deep shots weren’t reserved for the guards as Quynne Huggins and Krisynthia Sampson had matching, 2-for-5, stat lines from beyond the arch. Huggins had 12 points and eight rebounds while Sampson had 14 points, six boards. Next up for the Vaqueros is a Tuesday date with Texas A&M-Corpus Christi. 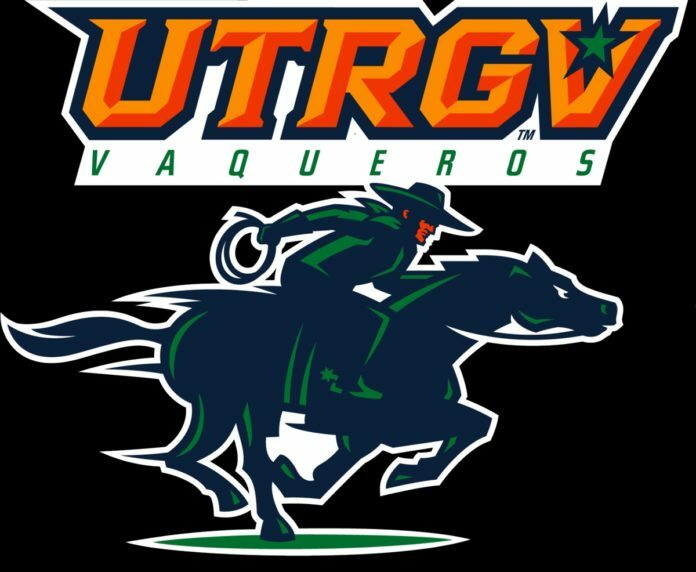 UTRGV will have to travel out of the friendly confines of the Fieldhouse in Edinburg for the first time since a 74-70 loss to UMass. RGV lost to Corpus in the first South Texas Showdown matchup of the season Nov. 12. Lord says his team has grown since their second game as a unit.